Justin Timberlake and Chris Stapleton Team Up for 'Say Something' at 2018 BRIT Awards - Integration Through Media ....! 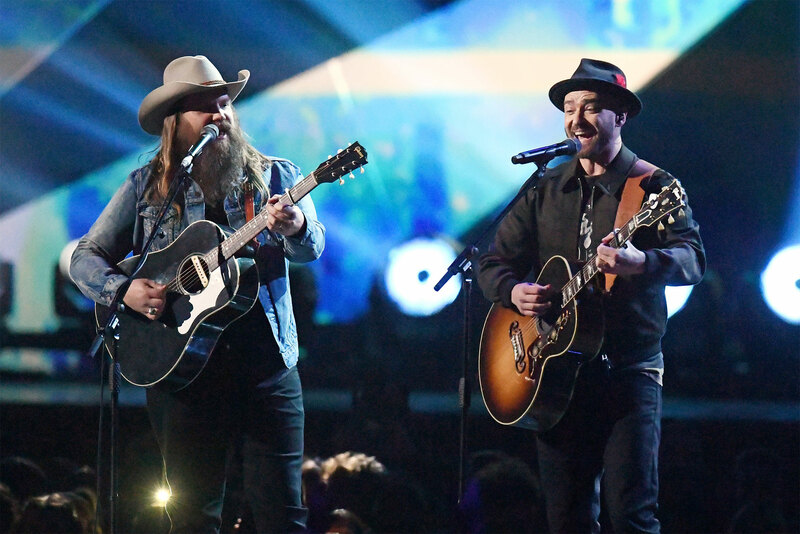 Justin Timberlake and Chris Stapleton to definitely knew how to “Say Something” and create some music magic at the 2018 BRIT Awards. In his first performance since his controversial Super Bowl Halftime Show earlier this month, the “Filthy” crooner sang his duet with the country star at Wednesday’s award show live from London’s O2 Arena. Opening with “Midnight Summer Jam,” Timberlake then played the opening lines of his and Stapleton’s duet on a drum machine before welcoming the country star to the stage. Throughout their performance, around 200 backing dancers appeared through the crowd to join the two. After showing Stapleton some of the music he had been working on, they discussed writing about Timberlake’s desire to assert himself when he was misinterpreted.